Download and complete the installation for Java. Then go to Security & Privacy. 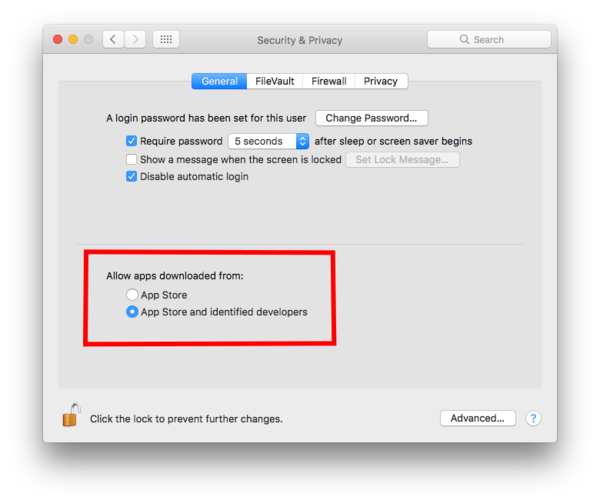 Click on then Lock icon and enter your credentials to be able to change settings. Click the Lock icon again to lock and save changes. 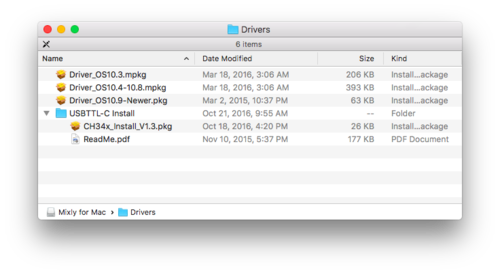 Open the Drivers folder. Drivers are needed to communicate with the Microduino hardware. 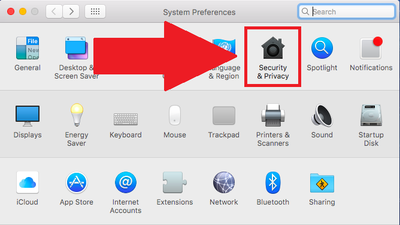 Driver_OS10.3.mpkg if you have Mac OS 10.3 or below. 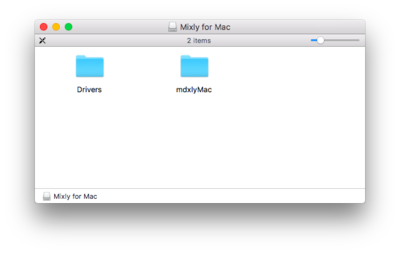 Driver_OS10.4-10.8.mpkg if you have Mac OS 10.4 to Mac OS 10.8. Driver_OS10.9-Newer.mpkg if you have Mac OS 10.9 or newer. 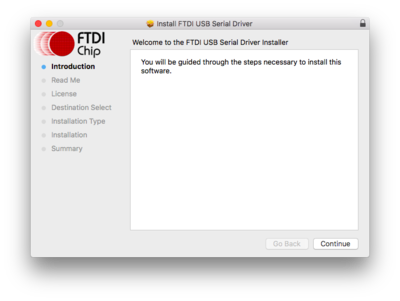 Follow the on-screen instructions to install the driver. Once completed. Open the USBTTL-C Install folder. This is another driver that needs to be installed. 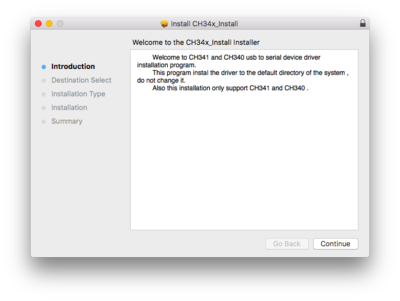 Open CH34x_Install.pkg. Follow the on-screen instructions to install the driver. 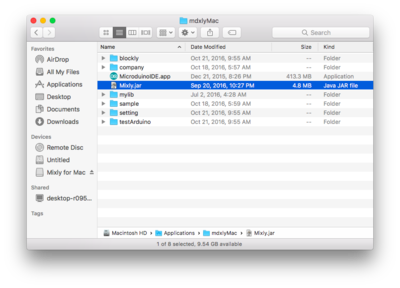 Now open the copied mdxlyMac folder. You will get a message regarding developer cannot be confirmed. Click Open. You will only have to do this once. 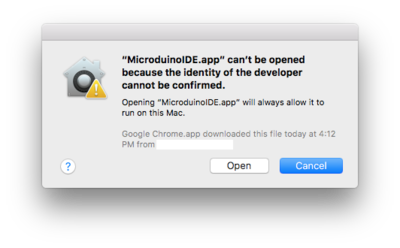 Close the Microduino IDE once it opens. 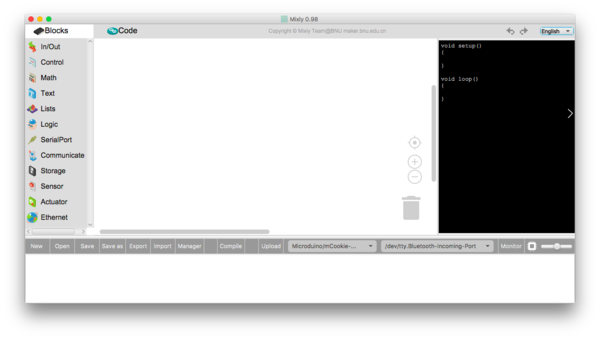 Mixly for Mac is now running! This page was last modified on 12 September 2017, at 18:46.